In my last post I showed you my drunk dress; made while enjoying too much Brandy, because of not enjoying a toothache. 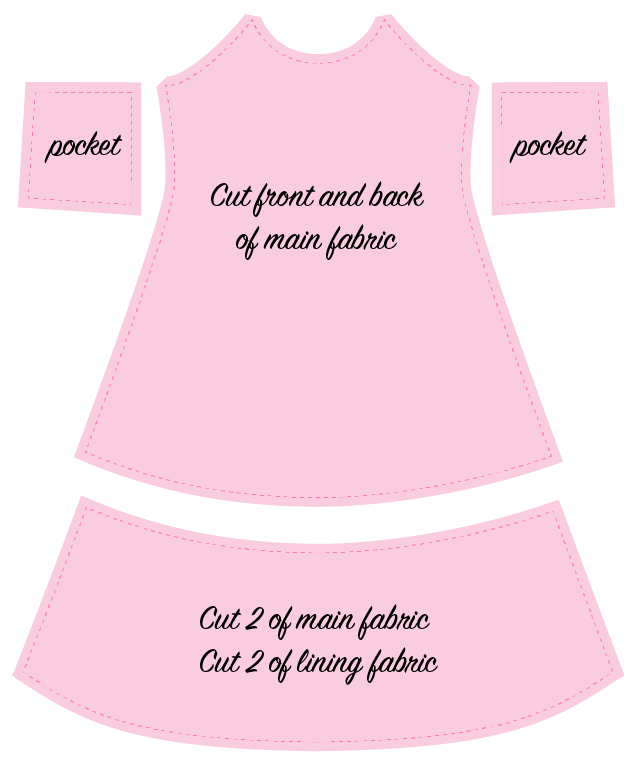 This is an easy modification to make to any jersey dress pattern. I think it would look nice with solids or with a print jersey and a solid woven. The stretch fabric needs to be used on the top, while the woven fabric gives all kinds of fun opportunities, at the hem. It really isn’t hard to find some eye-catching fabric combos. I think this khaki eyelet from Fabworks could be very interesting. I also quite like the idea of a tiny print or texture in the hem. This is a great way to use up a metre remnant that lives in your stash. These are the steps I took to modify my pattern, plus some improvements I suggest. To see my sewing suggestions, refer to my last post. My modifications assume you have traced your dress pattern and excluded seam allowances. 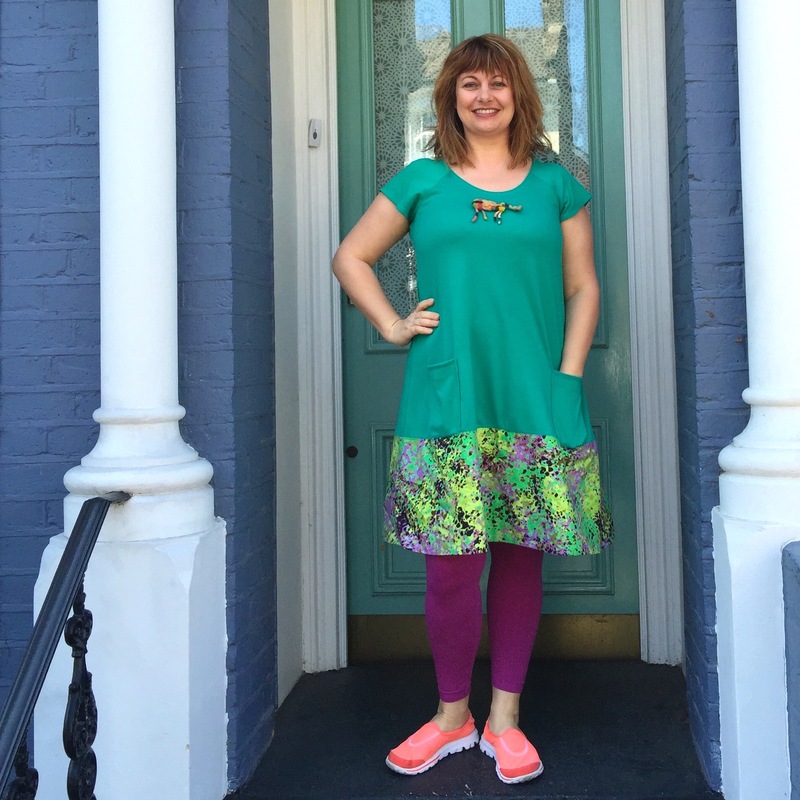 I used my raglan dress hack, but you can use any A-line jersey dress pattern. 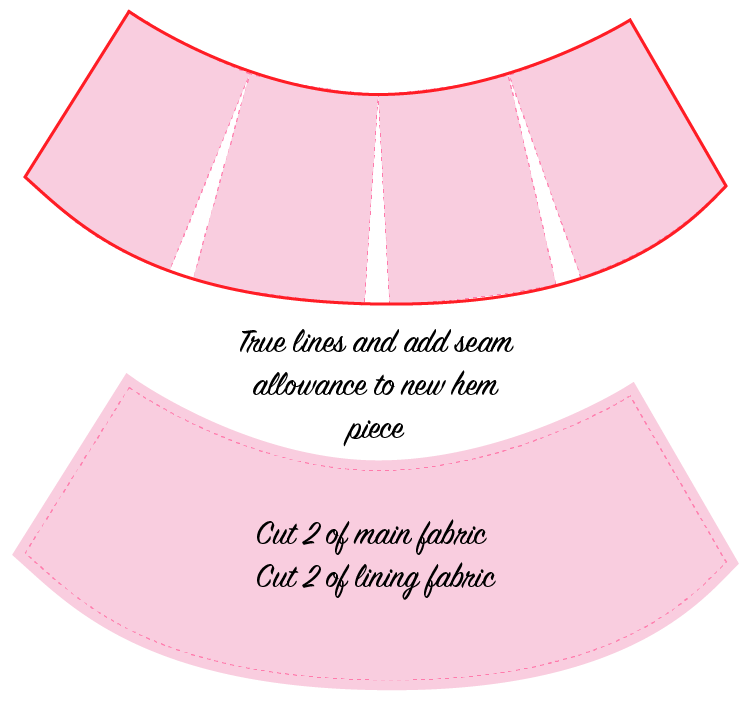 Plan a new cutting line for the hem of your dress. Mine is about 25cm deep. 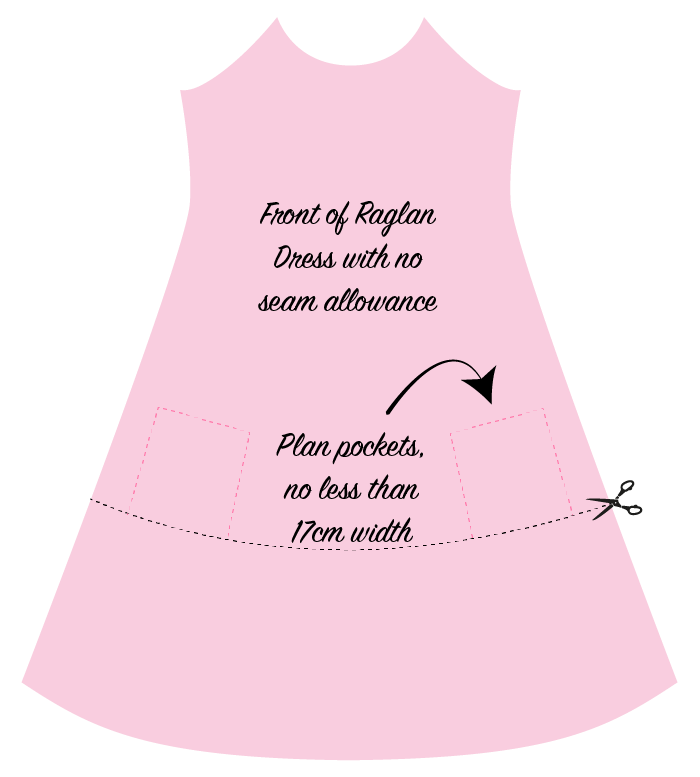 It’s a good idea to plan pockets too. They can finish inside the new hem panel. 2. Trace all the new pieces and add seam allowances. The front and back hem pieces should be the same. 3. 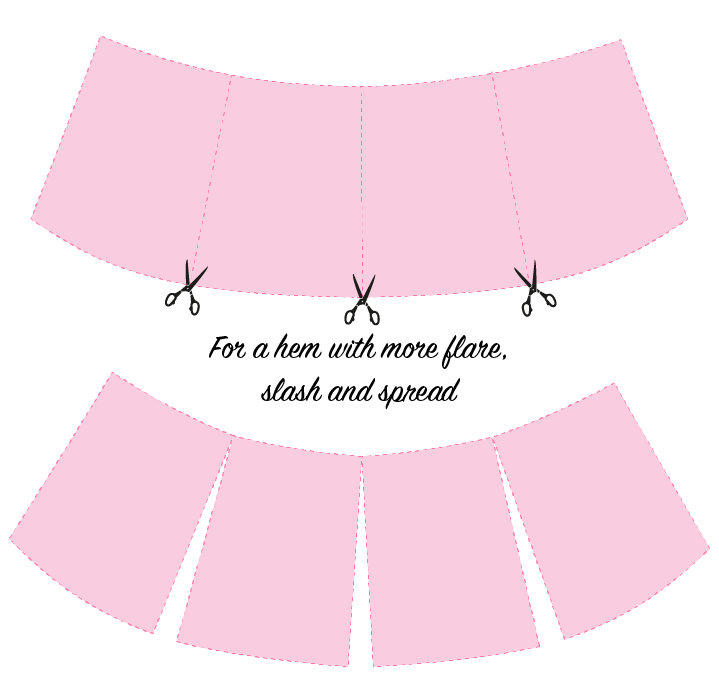 To make it a little bit fancier (this will require a little more fabric), slash and spread the hem piece to add some flare. You can see they have done this in the original Cos dress. I will do this for my next version. I won’t add too much flare, just a little. 4. True the lines of the new hem piece and add seam allowance. The seam that joins hem panel to the main body of the dress, must be exactly the same length, so walk it along, to check. I will make an undrunk version soon and share it with you all. Great tutorial, I love the mixed fabric look but find getting the fabrics right hard.